Located just north of Beaverton in Bethany, Oregon, Portland Dance Center offers dance classes to students of all ages and abilities. Classes include Ballet, Tap, Jazz, Hip Hop, Flexibility and Conditioning, Tiny Tots and more. Please visit our Class Schedule page to learn more. PDC services the recreational dancer, as well as those who desire to take their skill to the next level through our Ballet Program and Dance Companies. We pride ourselves on offering modest and family-friendly costumes, music, and choreography, and keep our class sizes small to ensure every child is getting the attention they deserve! At Portland Dance Center, our mission is to provide a quality dance education to students in a manner which will develop technical ability and also boost their self-esteem. Our instructors are dance professionals who truly love to work with children, and our friendly receptionists are available to assist you during class times. Thank you for visiting Portland Dance Center. 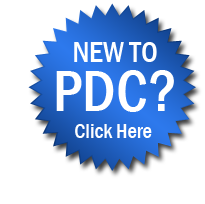 We invite you to visit our New to PDC page for more information. If you have further questions about our studio, our classes, or need help finding the right classes for your child, please contact us. Visit our Class Schedule Page to register now!